« Harvard Develops Robotic Bees, Begs the Question – Why Not Save Real Bees? (Beyond Pesticides, March 26, 2013) Scientists are learning more about the mechanisms bed bugs have developed to increase their resistance to the increasingly common class of pyrethriod pesticides. The study, published in the journal Scientific Reports in early March, adds further weight to calls from consumer health and environmental groups to adopt proven, non-toxic strategies to manage bed bugs and other household pest problems. After all, if alternatives exist, why put your family at risk with unsustainable, ineffective control methods? The pyrethroid class of pesticides, which also include permethrin, bifenthrin, resmethrin, cyfluthrin and scores of others, includes synthetic versions of pyrethrins, natural insecticides found in certain species of chrysanthemum. They were initially introduced on the market as ”˜safer’ alternatives to highly toxic organophosphate insecticides, such as chlorpyrifos and diazinon, which were banned for residential use in 2001 and 2004, respectively. However, exposure to synthetic pyrethroids has been reported to lead to headaches, dizziness, nausea, irritation, and skin sensations. EPA classifies permethrin and cypermethrin as possible human carcinogens, based on evidence of lung tumors in lab animals exposed to these chemicals. Synthetic pyrethroids have also been linked to respiratory problems such as hypersensitization, and may be triggers for asthma attacks. Fortunately, the chemical treatments that are more harmful to humans than bed bugs are also not actually necessary. These pests can be controlled by an integrated pest management (IPM) approach, which prioritizes methods such as vacuuming, steaming, and exposing the bugs to high heat. These methods effectively control an infestation without dangerous side effects that can harm human health. This approach, as well as taking steps such as sealing cracks and crevices, reducing clutter, and encasing mattresses can also help to prevent an infestation from taking hold first place. There are recent signs that biological controls are effective against bed bugs. A preliminary study from Penn State in November 2012 finds the natural fungus, Beauveria bassinia, to be effective at controlling the pests. The fungus, a natural disease that exists in the environment, can be easily cultured in the lab and applied like many other least-toxic pesticides, according to the researchers working on the study. Importantly, infected bed bugs bring the fungus back to their hiding places, contaminating those who did not venture out in search of a blood meal. 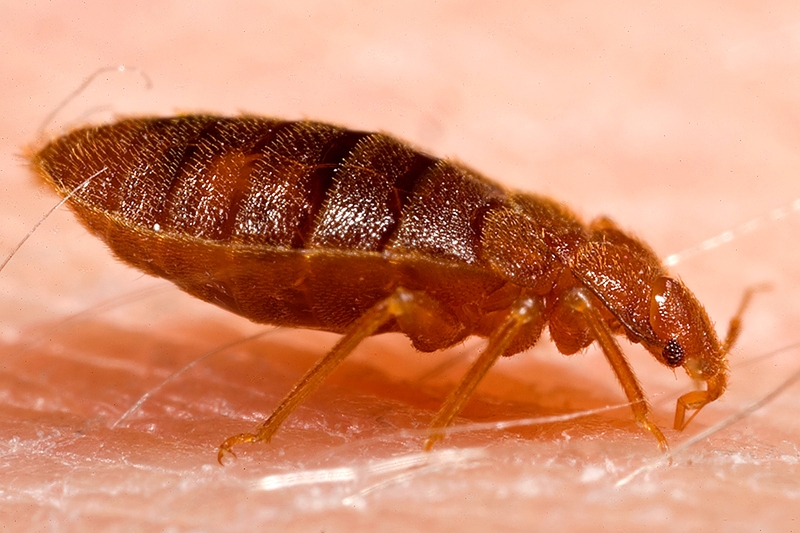 The bed bug resurgence in the U.S. in recent years has led to public anxiety about the pests and drastic attempts to stem their spread through various means, often including the use of highly toxic and harmful chemicals. However, previous chemical use for bed bugs may have contributed to this resurgence in the first place. Beyond Pesticides strongly encourages residents that have a bed bug infestation to forgo the use of ineffective pesticides, especially in the wake of this recent study. For more information, see our Bed Bug webpage which includes a detailed fact sheet discussing bed bugs, the problems with pesticide treatments, and alternative control methods. Additionally, you can call (202-543-5450) or email ([email protected]) Beyond Pesticides for one on one help dealing with your bed bug infestation. This entry was posted on Tuesday, March 26th, 2013 at 12:01 am	and is filed under Bedbugs, Bifenthrin, Chemicals, Cyfluthrin, Integrated and Organic Pest Management, Permethrin, Pests. You can follow any responses to this entry through the RSS 2.0 feed. You can skip to the end and leave a response. Pinging is currently not allowed. I don’t agree with your post. My step sister stayed at my place and brought in bed bugs that I later found out came from her luggage. I bagged up everything that was in the room, cleaned it, sealed it and then sprayed bifen it. Its been months since and I’ve been bed bug free. I watched countless amounts walk over the bifen and within 24 hours they died. Granted, I used 5 ounzes for every gallon but it was very effective.